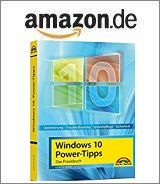 [German]Within this blog post, I’m going to dig into the error code 0x80240034 that some users get when installing updates under Windows 10. What is behind this error code and what can be done to identify the root cause for this failure. The updates were not loaded and processed in one shot. [MSR-]Tool to remove malicious software hung, Adobe Flash player install got aborted with an error message. After installing the cumulative update, with a download pause of 99%, the MSR-Tool and Flash player download went through, but failed during the installation. Afterwards Defender reported (according to the logs from 12/12/17) some findings. After closing and reopening the update function, all updates have been installed successfully! Error message with Flash and MSRT: 0x80240034. The user has attempted to repair Windows Update with the troubleshooting tool (but failed). Microsoft’s forum moderators advised (mostly useless) to check Windows for damage using sfc and dism (see Check and repair Windows system files and component store). Searching my blog for error 0x80240034 brought some results (here or here), but I haven’t addressed the details. So it’s time to have a closer look at this issue. What does error 0x80240034 stands for? Before we are starting with any troubleshooting, it’s helpful to know what a certain error code actually means. My usual tools for decoding the error codes did not know the error 0x80240034. 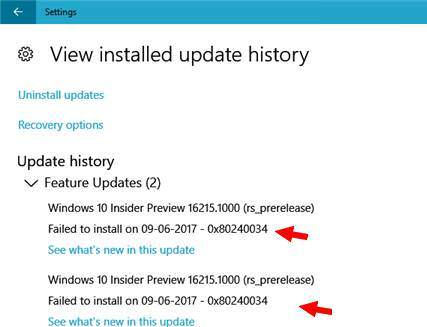 So I used my blog post Windows: How to decode update 0x8024…. errors to decode the error code. Error 0x80240034 stands for WU_E_DOWNLOAD_FAILED, it says the update failed during download. This would exclude a broken update store under Windows or a broken update package (in my opinion), because the issue occurred during the download. This could be caused by an Microsoft Update Server. If that’s true, a new update attempt should be successful at later time. This was the case with the user quoted above. The second cause of the error can be located on the Windows client. This could be caused by a faulty and repeatedly failing Internet connection. If the Internet access fails, I would personally check on an installed VPN software or a third-party anti-virus or external firewall that is causing problems there. Therefore, uninstall these tools and run a clean tool from the vendor in the case of antivirus software in order to remove the system from installation remnants. Furthermore, the system should be checked for defective components as a precautionary measure. The steps are described in more detail in the blog post Check and repair Windows system files and component store. In addition, you can reset the update store if the above approaches are unsuccessful. Use the following steps. 1. Open an administrative command prompt window (type cmd into the taskbar’s search box and use the context menu Run as administrator to launch the search result). 2. Enter the following commands into the command prompt window. The restart Windows and check, if the update error 0x80240034 is gone. Come back to the black window after a time and check if the process finished. As soon as the SFC process finished, restart your computer. After the restart you search for updates again. If the steps given above didn’t help, try the following steps (but note, there is a danger mangling within the registry). 2. Enter regedit.exe into the command prompt window to launch Registry editor in administrator mode. 4. Delete the entries WUServer and WIStatusServer in the right pane (if present). Then restart your Windows and try, if the update error has been solved. If that doesn’t helps, I recommend to do a repair install using Inplace Upgrade. This entry was posted in issue, Update, Windows and tagged 0x80240034, Error, Update, Windows 10. Bookmark the permalink. @Lauren: I removed your link as SPAM – in case, you try to republish such a link, I will block it as SEO SPAM! i tryed to Reset Windows Update Store but “net stop wuauserv” refused my command and “net stop bits” did stop because it wasn’t on. then i tryed to search the HKEY_LOCAL_MACHINE\SOFTWARE\Policies\Microsoft\Windows\WindowsUpdate document but that document didn’t exist. so can you help me, i have no idea what to do now. I recognized it, the Windows 10 refuse from time to time stopping wuauserv. Try to stop the services using computer management or task manager. If that doesn’t work, try to boot in Windows PE. Then you should be able to delete the folders mentioned above. This fixed my issue. Thank you very much!